“When for the first time I saw the evening rise with its red and gray softened in the Naples sky,” Nietzsche wrote, “it was like a shiver, as though pitying myself for starting my life by being old, and the tears came to me and the feeling of having been saved at the very last second.” Few would guess it from the author of such cheery works as The Birth of Tragedy, but as Paolo D’Iorio vividly recounts in this book, Nietzsche was enraptured by the warmth and sun of southern Europe. It was in Sorrento that Nietzsche finally matured as a thinker. Nietzsche first voyaged to the south in the autumn of 1876, upon the invitation of his friend, Malwida von Meysenbug. The trip was an immediate success, reviving Nietzsche’s joyful and trusting sociability and fertilizing his creative spirit. 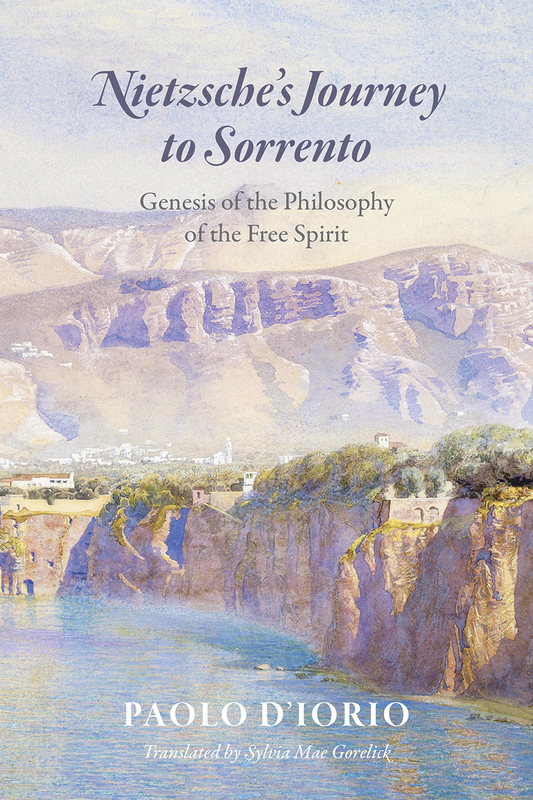 Walking up and down the winding pathways of Sorrento and drawing on Nietzsche’s personal notebooks, D’Iorio tells the compelling story of Nietzsche’s metamorphosis beneath the Italian skies. It was here, D’Iorio shows, that Nietzsche broke intellectually with Wagner, where he decided to leave his post at Bâle, and where he drafted his first work of aphorisms, Human, All Too Human, which ushered in his mature era. A sun-soaked account of a philosopher with a notoriously overcast disposition, this book is a surprising travelogue through southern Italy and the history of philosophy alike.